Alignment Inspection Improper wheel alignment will result in difficult handling, greatly accelerated tire wear, poor fuel economy and excessive wear on your vehicle's suspension. When a vehicle is driven in a straight line, the wheels on the left side of the vehicle should be parallel with the wheels on the right. If one wheel is slightly off this axis, the vehicle may want to pull, or drift, to that side. Manufacturers have wheel alignment specifications for each make and model of vehicle. Wheel alignment checks are carried out by garages that specialize in tire sales and repair. Wheel alignment equipment checks a vehicle's suspension and steering angles to make sure they are properly adjusted. Suspension and steering components that are even slightly out of adjustment can cause tire wear. Itï¿½s no surprise that your vehicle will drive better in Avon, Avon Lake, Sheffield Lake, Bay Village, Westlake, North Ridgeville, and any other suburbs in Lorain County Ohio if all the wheels are pointed in the same direction. Thatï¿½s called wheel alignment. If your wheels are out of alignment you may notice that your car pulls to one side or the other. Something that you wonï¿½t notice right away, but you will if you keep driving around Avon Ohio when youï¿½re out of alignment, is that your tires are wearing unevenly and fairly quickly.. Thatï¿½s because when the vehicle is pulling to one side, you have to steer it back straight. The outside of the tire just wears out fast because youï¿½re constantly turning, which can be very exhausting on a long road trip from downtown Cleveland ï¿½ fighting to keep the vehicle going straight down the road. Some of the things that commonly throw a wheel out of alignment are slamming into a pothole in North Ridgeville, smacking a curb in Bay Village or something like a rock in Avon Lake. And it doesnï¿½t have to be a big shock, it can just be the regular bumps and bangs of daily driving that add up and eventually take your vehicle out of alignment. Thatï¿½s why one of our advisors at Hoffman Auto Repair may suggest having your alignment checked periodically. With an alignment service at Automotive Specialty Services, we measure each wheelï¿½s alignment and to see where they are relative to factory specifications. While we have the vehicle on the alignment rack, we inspect the tires for wear as well as the suspension and steering components for damage or wear ï¿½ things that can contribute to alignment problems. With some sedans you can adjust all four wheels so we bring all wheels into alignment. 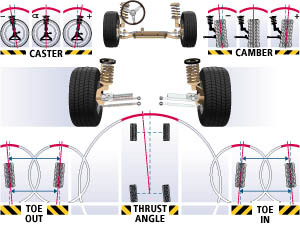 On those vehicles where you can only adjust the front wheels, we bring the front into alignment relative to the rear. Cost varies by whether or not itï¿½s two or four wheel adjustable. Four-wheel drive vehicles may have an additional charge because theyï¿½re more difficult to align. 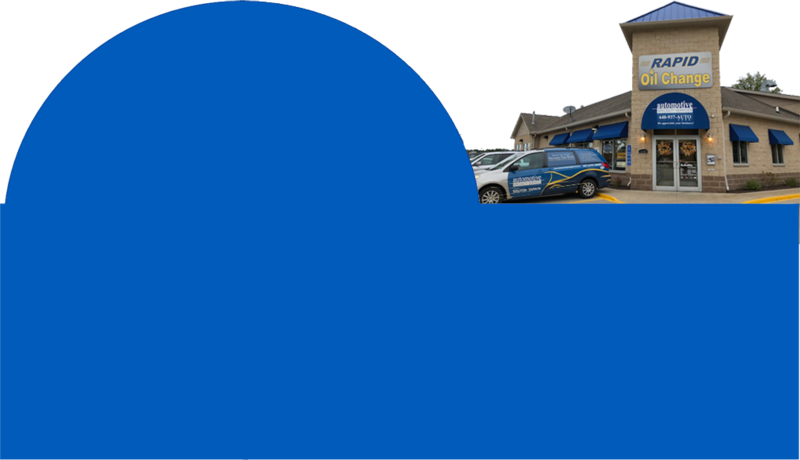 At any rate, itï¿½s cheaper than having to replace tires every few months. If itï¿½s been a while since youï¿½ve had your wheels aligned, there are several ways to schedule an appointment for service and/or repair with Automotive Specialty Services; Either SCHEDULE AN APPOINTMENT ONLINE, CALL US at (440) 937-2886 and/or bring your vehicle to our service center at 1049 Center Rd Avon, Ohio for an alignment check.